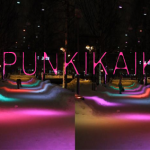 The Kaupunkikaikuja [Urban echoes] installation has been launched at the Otto Karhi park in Oulu, Finland. It is a temporary urban lighting installation that adapts to the presence and movement of people and communicates information through light. 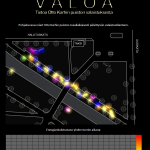 This installation is part of the Adaptive Urban Lighting – Algorithm Aided Lighting Design project at the University of Oulu, Department of architecture. The lighting adds to the experiential quality of the park and increases the feeling of security through new and energy efficient lighting and control technology. The temporary installation is a real-wold test-bed for new design methods and developed design tools and maps out user experiences through different adaptive park lighting scenarios. A mobile service has been set up in conjunction with the lighting installation. 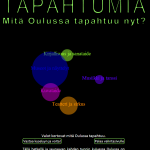 From the Kaupunkikaikuja mobile web page (www.kaupunkikaikuja.fi) users can make queries about the activity of the city and the happenings in the city. 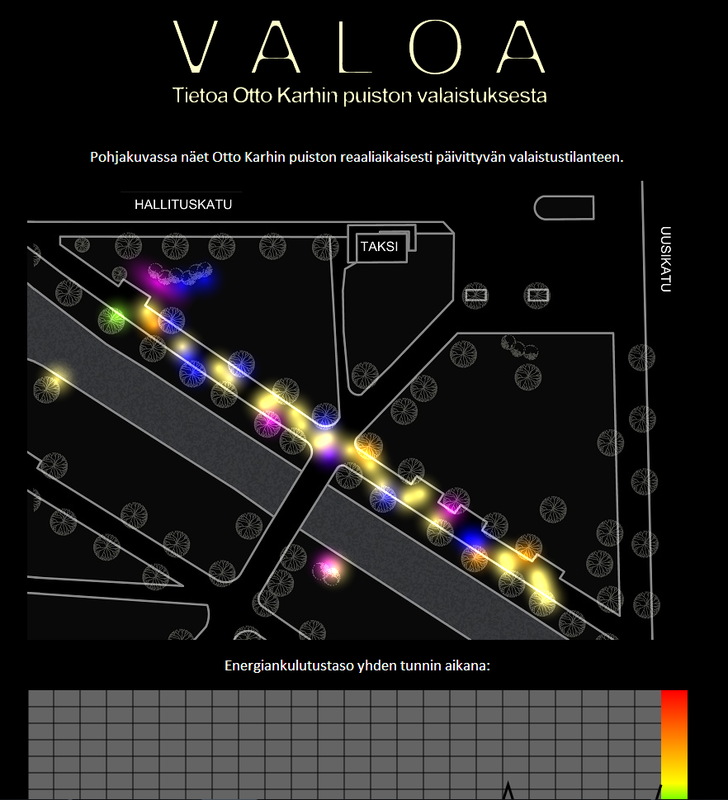 The light installation visualises those results for pedestrians through colors in two minute long lighting scenes.